It takes a visit to CASA to fully appreciate the many layers of interconnected programming and the powerful impact they have on the communities CASA services. 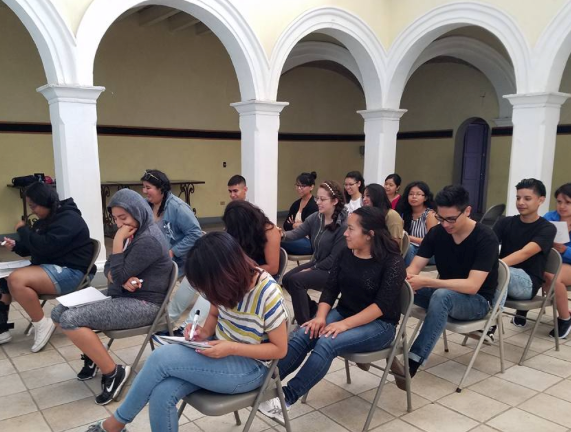 This summer New Yorkers for CASA earmarked a portion of our 2015 fundraising dollars to send students enrolled with the Jaime Lucero Mexican Studies Institute at CUNY and Mixteca organizers to San Miguel for an intensive educational adventure designed to inspire and inform the New Yorkers with strategies for peer education – a key tool that CASA embraces for outreach, making change happen with knowledge, activism and communication. From workshops with midwives, hands-on participation with CASA radio programming and field work to establish a library for a remote rural town these students return to the United States ready to influence other adolescents in their own metropolitan communities with CASA strategies and a sense of purpose and empowerment. Please enjoy these quotes and more essays from student blogs about their summer program at CASA. Last night an evening of robust conversation led by Peabody-wining journalist Maria Hinojosa of Futuro Media Group, hosted by Ambassador Sandra Fuentes at the NYC residence of The Consul General of Mexico brought together supporters of New Yorkers for CASA to celebrate 35 years of CASA providing community outreach, midwifery education, health care, scholarships for youth and domestic violence prevention in San Miguel de Allende, and influencing international policy makers, activists, and leaders globally while effecting positive change for women in Mexico. Distinguished panelists shared personal and professional reflections on the many paths to relevant involvement using models of private and public partnerships to create resilient methods of engagement in order to tackle the broad challenges for meeting the ongoing needs of adolescents and women in San Miguel de Allende and beyond. Monies raised this evening will be donated by New Yorkers for CASA for ongoing educational and programming efforts by CASA in 2016. Maria Hinojosa with panelists: Anastasio Rodriguez, MD, Oaxaca; Eduardo Penaloza, Mixteca Organization; Alyshia Galvez, CUNY Institute Mexican Studies; Shaunna Thomas, founder, Ultra Violet; Nadine Goodman, CASA; Susan Pritzker, CASA Investor Network and Ambassador Fuentes. 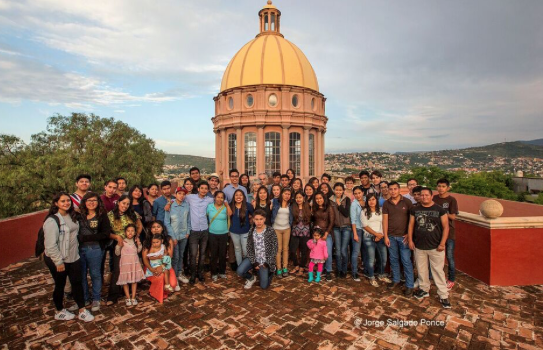 CASA was honored to be one of the many places that Gloria has visited. In January Gloria Steinem was welcomed to CASA with a tour of the campus, the maternity center and a reception with students. We recently caught up with Gloria about her thoughts on her visit earlier this year to CASA. CASA Maternity Hospital was established in 1994, where over 10,000 babies have been born with superior prenatal and maternal care measured by reduced infant and maternal mortality rates. In 1996 CASA opens the first government-accredited Midwifery School. Here is an overview of the state of maternity in Mexico that CASA is determined to change. Maternal mortality rate, (MMR) is more than double the rate in the U.S. with 4 deaths a day. 1,470 women needlessly die every year due to mismanagement of pregnancy and birth. 39,000 infants died before reaching their first birthday in 2013. There are 63 births per 1,000 teen women aged15-19. (There are 31 births per 1,000 teens in the United States.) 80% of Mexican teen mothers drop out of school. Although midwifery is an ancient profession in most parts of the world, it is a new phenomenon in Mexico. Only 91 professional midwives are currently working in Mexico, and all are graduates of the CASA Professional Midwifery School. International standards recommend 6 midwives per 1,000 fertile women. Tucked away in central Mexico is a UNESCO world heritage site, San Miguel de Allende. 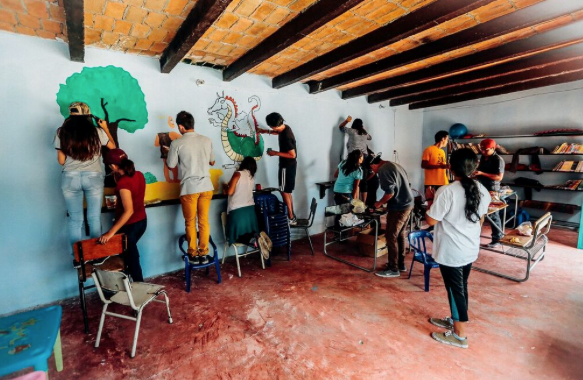 This beautiful town is a favorite of travelers and artists, but since 1981 it has also been the home of the Center for the Adolescents of San Miguel de Allende, known as CASA. Established by a visionary couple, Nadine Goodman and Alejandro Gonzalez Rullan, with a mission to reach out to at-risk adolescents, CASA has become an internationally recognized organization – an inspiring model for comprehensive community-based services in any part of the world. 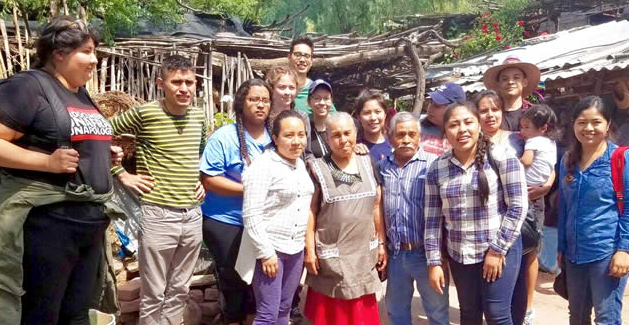 CASA includes a maternity hospital where over 10,000 babies have been born, the first accredited Midwifery School in Mexico, a day care program, and extensive outreach to adolescents in remote, under-served villages. As impressive as the accomplishments are, the growth is just beginning. On the agenda are ongoing cooperation with the Mexican government to open public midwifery schools across the country, online training for professionals, the replication of the CASA community program in states across Mexico, and so much more. New Yorkers for CASA is a group of women who live in New York City. We are passionate about CASA’s accomplishments. We see CASA as proof that providing adolescent women with healthy family planning options, medical services, and education is a sure path to economic improvement and personal empowerment.